F or decades, Miele has been setting the trend in the development of laundry machines and cleaning methods for the care sector. Washing machines conform to the requirements of The Care Standard Act 2000 and the recently updated Department of Health Guidelines CfPP 01-04. Default temperatures meet the Department of Health's recommendations, however if necessary our products have the flexibility to increase holding temperatures. Selected products are also WRAS approved. Miele Professional system solutions provide washer and dryers which are perfectly harmonized in performance and efficiency, supplemented by ironers for the perfect finish: Innovative technology for Care Sector Laundry needs. All washing machines are compliant with machinery guidelines and WRAS approved for reassurance. When installing a product which will carry or receive water from the public mains water supply in the UK, it is a criminal offence if it does not comply with the Water Supply (Water Fittings) Regulations or Scottish Byelaws. These require that a water fitting should not cause waste, misuse, undue consumption or contamination of the water supply and must be ‘of an appropriate quality and standard’. WRAS Approval is the best way to demonstrate compliance as it is granted directly by representatives of the water suppliers and is therefore accepted by every water supplier in the UK. There are different categories of WRAS approval depending on the business type. For Care Homes all machines have to be compliant with WRAS category 5 due to the nature of the materials being washed. All Miele Professional washing machines are compliant with category 5. Reduce the potential of infections spreading in your high risk environment. 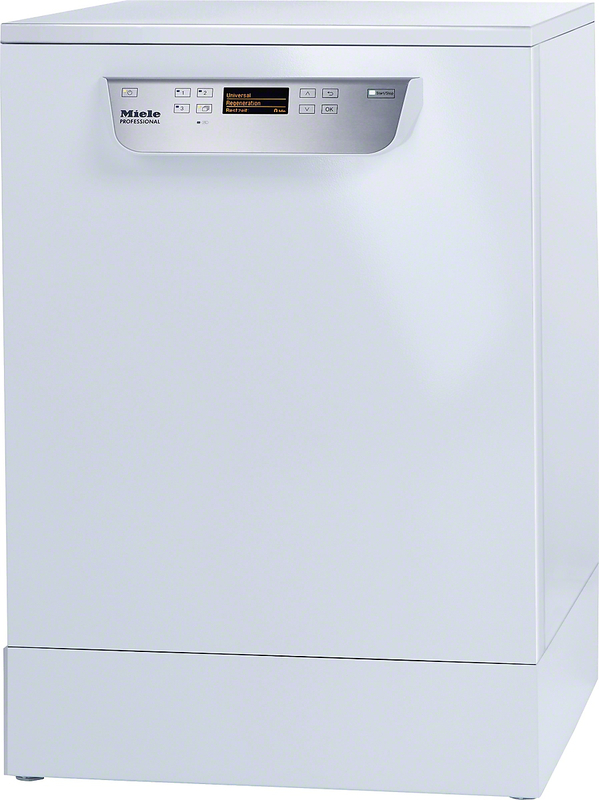 The new HYGIENE (PG8059) dishwasher ensures hygienically clean dishes for the care sector by utilising fresh water at every wash phase, and high temperatures to keep infections at bay. Working in health and social care, you know how important hygiene is. When it comes to hygienic linen, it's important to be up to date with the latest guidelines. The Department of Health have recently issued new guidelines called 'Choice Framework for local Policy and Procedures (CFPP) 01-04. Decontamination of linen for health and social care: Management and provision': Replacing the HSG (95) 18, (CFPP) 01-04 priovides up-to-date evidence-based guidance on the decontamination of linen for health and social care. The new comprehensive guidelines are divided into four 'volumes' which cover all aspects of linen processing from equipment validation to management and procurement. But what does that mean for you? Well, in order to comply with government regulations, you'll now need to ahdere to the essential quality requirements mentioned in the CfPP 01-04 guide. Miele Professional washing machines and tumble dryers comply with the new guidelines and ensure service-users remain safe and in no threat from infection or contamination. More importantly, they enable processes to be streamlined so that staff can spend less time doing laundry and more time providing first-class care to those who need it most.